Caps are available in two styles: flat, with a smooth surface for additional labeling options, and plug style for a secure seal when using shakers and horizontal incubators. All caps are made of purple high-density polyethylene. Racks are available separately. 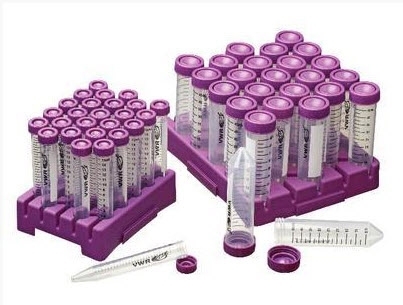 Rack-packed tubes are packaged in freezable, recyclable, autoclavable racks. 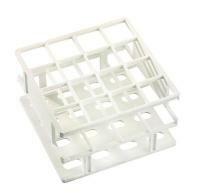 The interlocking design of each polypropylene rack makes them ideal for benchtop organization. Tubes are sterilized by gamma irradiation. Tubes and caps are autoclavable and freezable. 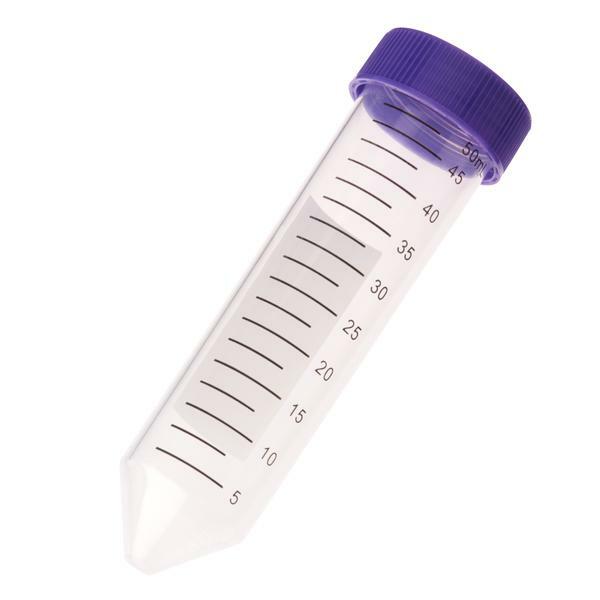 USAGE: Tubes used in centrifugation, sample storage and molecular biology. Supplied in bulk bags of 50 (not racked) or cases of 1000 (20 bags). Supplied in bulk bags of 100 (not racked) or cases of 500 (5 bags). 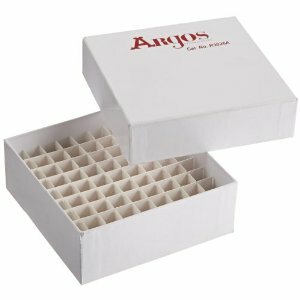 Supplied in racks of 25 or cases of 300 (12 racks). These nonstick, graduated, polypropylene tubes withstand forces as high as 14,000g and may be used between 90°C and 140°C. With flat caps and frosted areas on the sides for easy labeling. Leakproof snap caps may be penetrated by a syringe. Easy-to-open caps will not pop open during autoclaving. All tubes are non-sterile. These tubes incorporate a high-strength wall and can be centrifuged to 35,000g. 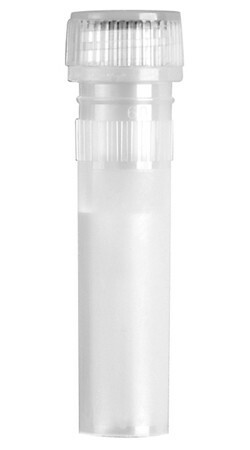 Tubes also feature flat, pierceable, frosted caps and a side labeling surface. Tubes fit all common rotors. Steam autoclavable to 122°C and freezable to 90°C. 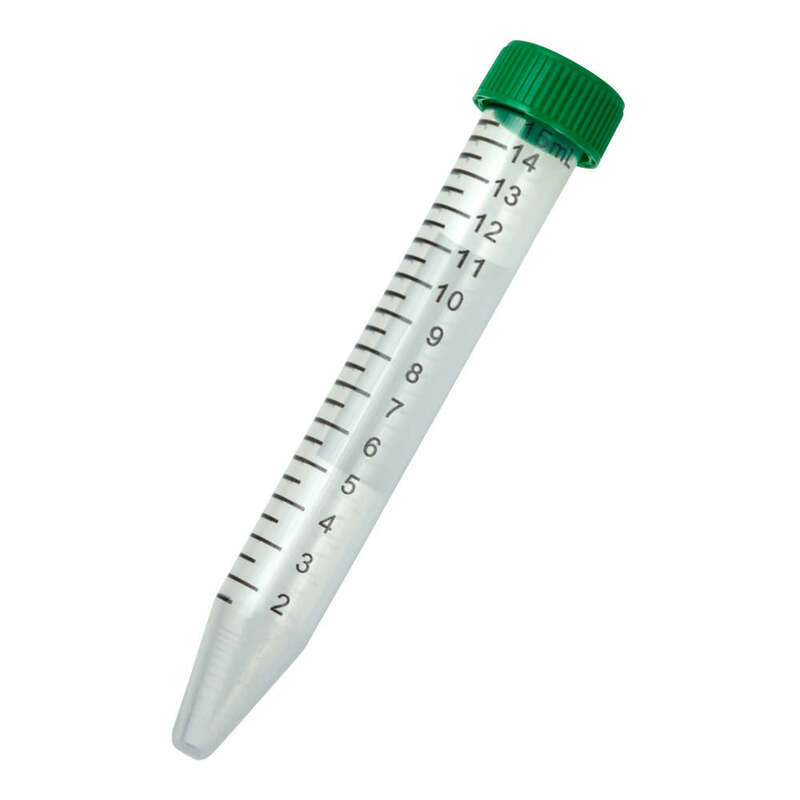 1.5 ml Microcentrifuge Tube, Sterile. 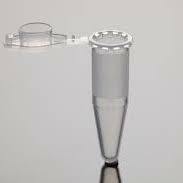 Clear, Conical, Polypropylene, Autoclavable, Non-Pyrogenic, RNase / DNase free. 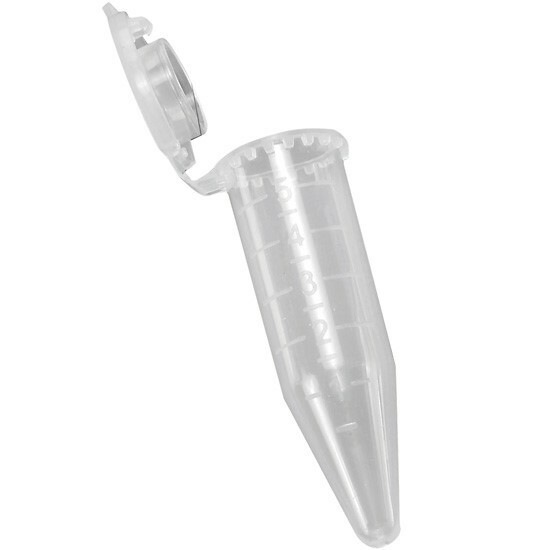 CapLock™ 1.5-mL microcentrifuge tube features a double-lock cap closing system to ensure samples are safe and secure. It is ideal for boiling applications and working with DNA or hazardous substances. 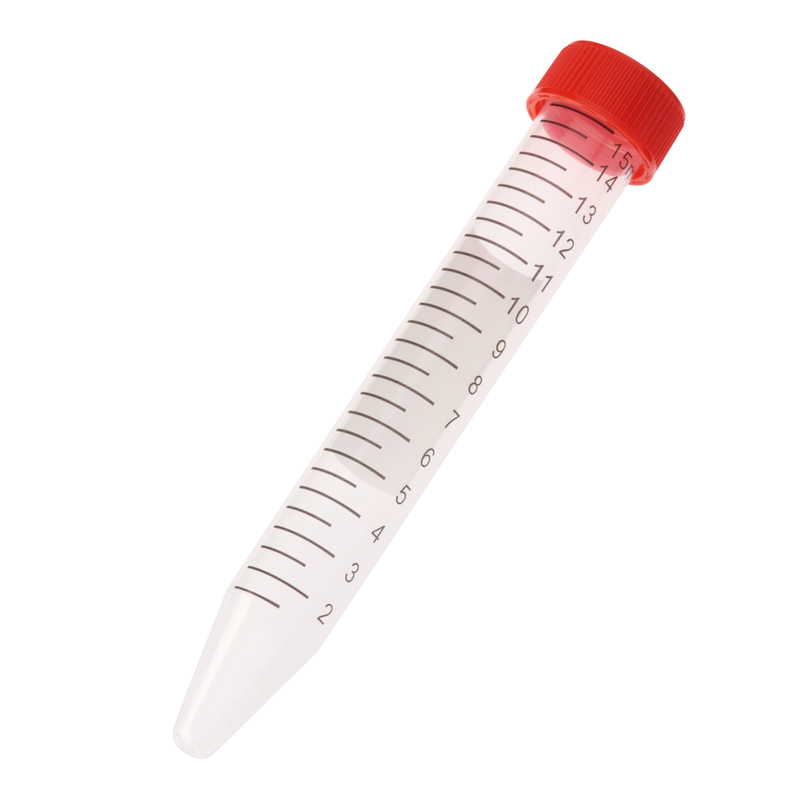 The polypropylene (PP) tube is autoclavable at 250°F (121°C) and freezable to -148°F (-100°C). Other features include an extended lip for easy opening, marked graduations (0.1, 0.5, 1.0, 1.5 mL), and frosted areas on tube and cap. Tubes are made from an ultra-clear resin that allows easy viewing of contents. They feature universal screw threads for use with most popular brand screw caps. Low-profile caps include an ethylene propylene O-ring, ensuring a secure seal. Tubes also feature a smooth surface for applying labels. Tubes fit most common rotors. Tubes and caps are autoclavable at 122°C (251°F) and freezable to -90°C (-130°F). 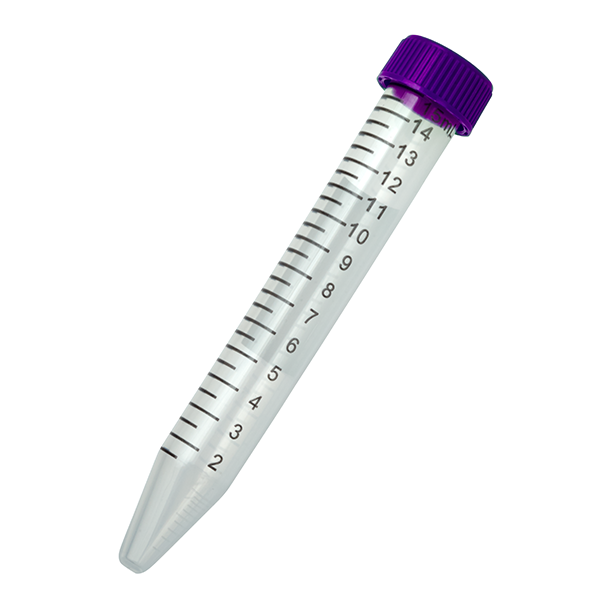 Sterile tubes are radiation sterilized. 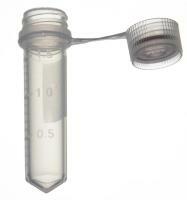 Microcentrifuge tube or cryo-vial storage system for 1.7mL and 2.0mL sizes. Autoclavable and freezable. Racks float in your water bath and can accommodate dry ice for use with frozen samples on the bench. Stackable. Supplied with hinged storage box. The 24 place racks are sold in packages of 10 and the 48 place racks in packages of 5. PolarSafe™ cryo/freezer boxes and dividers are made of sturdy white cardboard, with a moisture-repellent coating to protect from the effects of liquid nitrogen or condensation from refrigerated equipment. Boxes are sized to fit all standard stainless-steel and polycarbonate storage systems. Small holes on the bottom allow for safe drainage of liquid nitrogen or water. For use in mechanical freezers and liquid nitrogen tanks at temperature to -196°C. Disposable, borosilicate glass, rimless, one-use culture tubes made of borosilicate glass. Ordering Information: The three smallest sizes come in a dispenser pack and the larger sizes are bulk-packed. Borosilicate glass, Tubes are well annealed, resistant to heat and chemically stable. Rims are fire polished. Particularly suited for use in bacteriological work. Repeated sterilization, wet or dry, does not cause clouding. With beaded rim and permanent white marking spot. No assembly required - racks are a single piece molded from nylon. Easy to handle in an incubator, fume hood, refrigerator, or benchtop application, as well as autoclavable.